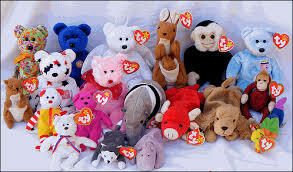 Remember that Beanie Baby craze back in the 90s? Did you obsess over your collection, organizing and playing endlessly with those cuddly stuffed animals? Did you know ALL their names? Whether or not you had a few or a few hundred, you can’t deny these little guys are just adorable. It seems that boys and girls of all ages really connect and engage with these toys. Beanie Babies have proven to be a valuable learning tool here in the Clubhouse — a means to encourage and expand symbolic play, a way to target speech articulation skills, an avenue for rehearsing social skills, and an excellent manner to address receptive and expressive language skills. Motivation is always the key factor in a successful learning environment, and Beanie Babies have proven themselves to be inherently motivating! Making associations, illustrating similarities and differences, and building connections through our own descriptions and conversation provide important language models for children. Igloo the Polar Bear is white, and so is an igloo! An igloo is made out of —(ice). Who else do you think lives near Igloo and his friends? Yeah, Frigid the Penguin! Conversations about these friendly animals inevitably stoke the imagination and lead to loads of questions and many pretend play scenarios. 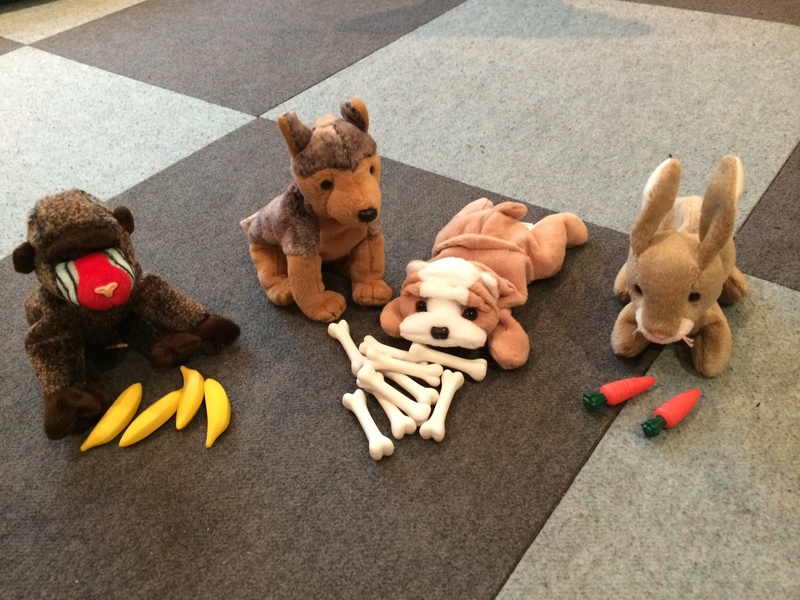 A popular activity among Communication Clubhouse clients is creating a “mock school” environment for the Beanie Babies. Our friends are set up appropriately in classroom rows with name-tags (written or transcribed by the student) and are taught words, read to, and posed questions. Arranging the classroom often involves quantitative concepts, spatial awareness, and simple math computation. Let’s put Chip in between Fetch and Wrinkles. Sarge wants to be near Fetch but far from Prickles. Let’s make two even rows: there are ten friends, how should we arrange them? Once our school is set up, we’re ready to rock and roll! An important component of this “mock school” activity is that it allows children to take the voice of the characters, rather than answering my questions themselves. Through voicing the character’s response, the child is given an opportunity to venture a guess with less pressure. 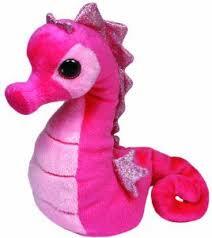 Children appear more confident in offering a guess when they are speaking through one of the Beanie Babies. For example, a Kindergartner, acting as my co-teacher to the Beanie Babies, was asked, “Does Pouch remember this word that we taught her last week?” (we hold up a card with the sight word “that”). 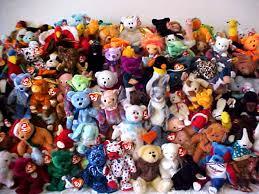 The student can either shout out the word enthusiastically, attempt to decode it, or shyly respond with, “Pouch doesn’t remember.” This tactic is used instead of directly asking a child, “Do you know this word?” Beanie Babies act as a “middle man” creating a sense of comfort and security for children. That’s okay Pouch, this word says “that.” We’ll teach it to you! 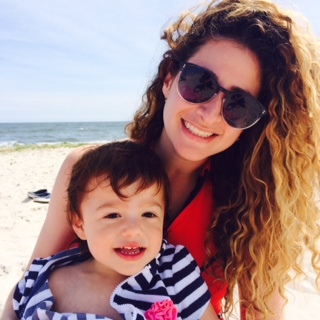 Word play is an important tool in speech-language therapy and early childhood education. Rhyming, listening for the first sound/last sound in a word, counting syllables, adding, deleting, and manipulating sounds are all important components of a pre-reading program (aka phonological awareness). We are constantly engaging in word play here in the Clubhouse, and the Beanie Babies sure provide so much material for us! 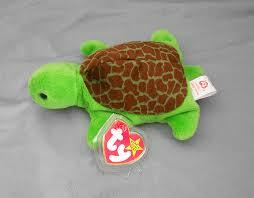 Every Beanie Baby comes with an official personalized poem attached on a ubiquitous heart-shaped tag, recognized even by the under 4 set. These poems give us information about the character, helping us learn about its likes/dislikes, behaviors, habitats, and backgrounds. Take a look at this Beanie Baby poem below. After he bought a racing car! Before reading the poem, we talked about why a turtle might be named Speedy, since we know that turtles move slowly! With an older student, we might talk about the concept of irony. These given poems are a great segue into our own rhyming activities. We will brainstorm all the words that rhyme with the animal’s name and then put together a unique sentence. What rhymes with Chip? Flip, dip, hip, rip, ship, slip, skip, nip…. Chip hurt his lip when he did a flip. Oops! Did he slip? Rehearsing our pals’ names is an excellent means of addressing articulation goals. The later developing difficult sounds like CH and J are found in abundance within the collection: Fetch, Majestic, Banjo, Sarge, Scorch, and Pouch, to name a few! Many of the names have an “s” in the final position, like Wrinkles and Prickles. As mentioned earlier, writing their names is also a marvelous way to work on spelling and dictation skills. We can make comparisons that get us thinking about spelling rules, like final –y (Baldy and Nibbly) and the suffix –er (Topper and Whisper). What’s most exciting is the organic nature of infusing learning into play, whereby the ideas are often sparked between teacher and student together in the moment. We frequently use the computer to create collages with our favorite friends. From finding the images to organizing them and adding text, incorporating technology can really be lots of fun for kids and adults alike. Designing posters about particular favorites, delving into research to find out more about particular animals, and making connections to books are other ways we expand this play. 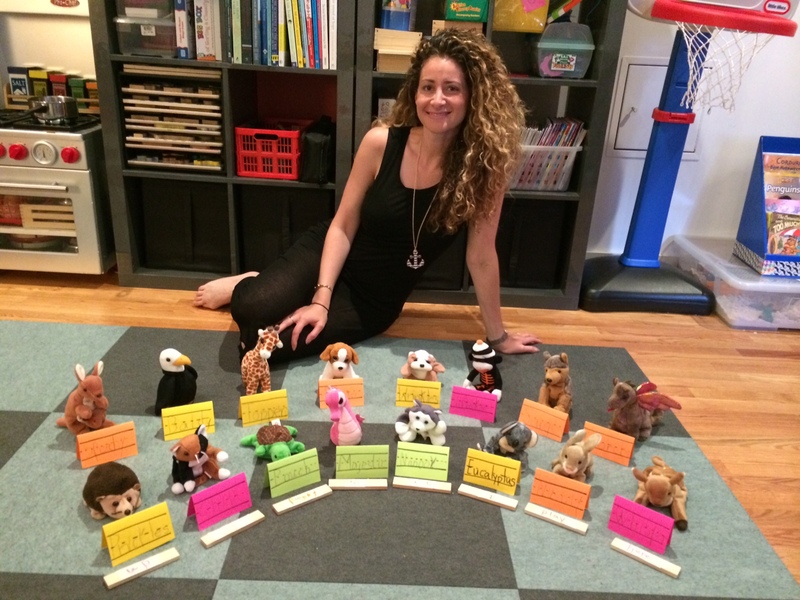 Next time you find your child playing with Beanie Baby friends or for that matter, any stuffed animals or dolls, see how you can join in and use them to work on speech and language skills. You’ll be surprised at how much fun you can create! Razzle Dazzle Rose, Tickle Me Pink, Outer Space, and Eggplant are just a few of the hundreds of Crayola crayon colors that captivate us. Crayons are classics. Don’t you just love that new crayon smell? 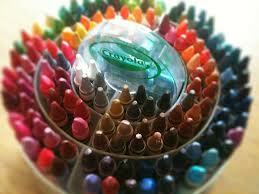 When we think of crayons, we think immediately of coloring, of course! However, crayons can be utilized for much more than that. 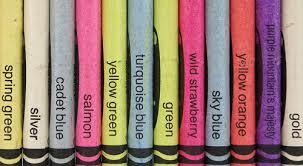 Crayola has done a fantastic job naming its crayons. When you take a look at these names from an educator’s perspective, you’ll see that they can be used as a fun teaching tool and a wonderful way to connect with children. Through examination of these color names, we are able to target many speech and language goals, including: categorization, phonological awareness, articulation, word play, and beyond. With one crayon comes an ocean of creativity and fun. How Far Can You Go with a Color Name? Imagine looking at a box of crayons. Not a small box of ten crayons, but the big box of 50+ (or even a tower of 100+!) that includes all the shades in a rainbow and at least 20 shades for each basic color. What are the differences between all of the shades of orange? Why were they each given a separate name? How was each name chosen? Do you also envision Bittersweet as a shade of red? These thoughts only scrape the surface of the countless questions that can overflow within your mind when looking at one crayon, its color, and its name. Children’s imaginations are wild and untamed, which is what makes them magnificent. Examining a single crayon can lead to an array of ideas and topics of conversation. Let’s take “Pink Flamingo” as an example. Imagine looking at this crayon together with a child, then asking, “Why do you think this color is called Pink Flamingo?” “What color do you think of when I say “flamingo”?” “Do you like flamingos?” “What do you know about them?” “Let’s look at the name. How many syllables are in Pink Flamingo?” “What else do you notice about the name?” The list of questions continues with no end. From a speech-language pathologist’s perspective, the name “Pink Flamingo” contains the consonant blend “fl” which is often challenging for young children. By rehearsing the names of the crayons, we are working on articulation in a hands-on, fun manner. Color names can also be used for ‘Question and Answer’ activities. Many children in speech therapy are working on responding to “wh” questions to target their receptive language and comprehension. For example, you can ask a child, “What do we call the pasta that has orange sauce?” The answer is “Macaroni and Cheese”, which is a Crayola color! “What’s the name of the medal that is given to the person who wins first place?” “Gold!” If one color’s name can lead to many conversations on its own, imagine how much learning can arise when we dig into all the many shades available to us. Along with targeted efforts in the areas of articulation and language, crayon colors can be used for increasing conversation skills. Synchronous and collaborative coloring activities allow us to work on asking and answering questions, sharing thoughts and opinions, and making connections. Color is also a fantastic means of self-expression. Linking colors with emotions can give insight into a child’s thoughts and feelings as well as deepen a relationship with another individual. By referencing blue, a child can express his or her emotional state of “feeling blue.” Likewise, yellow can refer to “happy” or “playful.” We can help to cross gender boundary lines by giving boys experience with the more traditionally feminine colors of pink and purple and vice versa for the more masculine colors of blue and green. Going back to the use of crayons in language therapy, the many categories (e.g., animals, flowers, food, nature) allow us to explore and work on visualizing, defining, describing, and sorting. We can use Venn diagrams as a way to organize our information. A Venn diagram is a figure that shows all possible logical relations between a finite collection of sets. Rather than only seeing black and white, Venn diagrams exemplify the importance of grey areas. By using Venn diagrams for educational purposes, children are taught to be imaginative and creative by learning that there is not always one answer or one correct place for an item, rather an item can be a part of many groups and multiple categories. How do Venn diagrams relate to our crayon topic? How can something be a part of two groups? Venn diagrams allow for great conversation and exploration. At Communication Clubhouse, children often use the large dry erase board to draw two circles overlapping in the middle (portraying a Venn diagram) and engage in activities that ask them to place various items into different sections of the diagram based on their categories. This is one example of a wonderful learning process that opens up children’s minds to the grey areas, the in-betweens, and the question marks of life. Crayola colors are a fantastic jumping-off point into to the world of color. If this topic is of interest to you, you can extend it far beyond crayons. The Pantone matching system is a wonderful resource. It is publicly referred to as the “world-renowned authority on color” — it is THE book of colors. If you Google search any of its colors, they will pop up immediately with official, codified names. 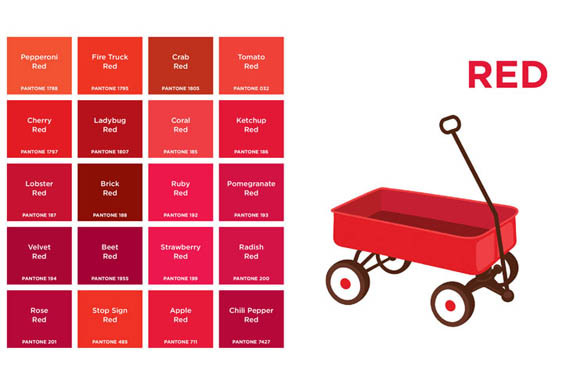 The Pantone: Colors children’s book introduces children to nine basic colors and 20 shades for each. 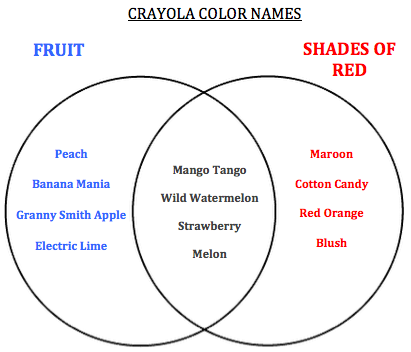 The book teaches a child about the idea that one color name refers to a variety of dark, light, and in-between shades. Children can work on naming the colors of the monochromatic images, expanding the colors conversation, and developing their sense of visual discrimination. Furthermore, the Pantone matching system can align with the Crayola colors because there is an overlap of many color names between the two, such as Pink Carnation and Fuzzy Wuzzy! One of my favorite things to do is have the child think about all the names that might come up on the page before we take a peek. 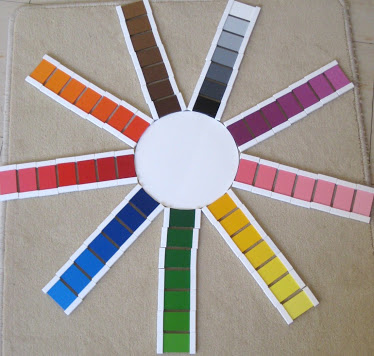 Another superb resource is the Montessori color tablet system. Montessori education is characterized by an emphasis on independence, freedom within limits, and self-motivation as well as decision-making skills. As part of the extensive collection of Montessori products, the color tablets are traditional, powerful items to work with. This product is a set of colored tablets that include many shades of all basic colors. The tablets do not vary in size or shape but only in color, which makes it easier for children to understand the difference between colors. With these simple color tablets, we can explore colors through a hands-on approach by matching like shades as well as grading colors from darkest to lightest and vice versa. Color systems can be incorporated into your child’s everyday life quite easily through simple conversation and observation. When you walk down the street with your son or daughter, be aware of all the color surrounding us and be verbal about it. Point out the bright yellow sun (but sometimes the sun is orange, isn’t it?! ), the plump red tomatoes at the fruit stand and all the vibrant colors of other fruits and vegetables, the fresh green grass, the pink polo shirts in the shop window. Strike up a conversation as you notice that all stop signs are red or that most street signs are green. Share your curiosity with your child about why that may be. There is so much color in our world. Color is what makes our lives feel bright or gloomy at times; it is how we express ourselves. The color system is a very powerful resource and when used for educational purposes, it can lead to even more beautiful outcomes than the colors themselves. Hello everyone and welcome to Communication Clubhouse NYC! I hope you enjoy the new website. Check out the “scheduling” feature to explore online booking. Let me know what you think! Communication in the early years is the process by which children convey what they want and what they need. It’s how they tell you what they like and what they don’t like! It also enables them to interact socially and to share their understanding and knowledge of the world with other people. Babies communicate from birth with cries and noises. Prelinguistic communication (i.e., preverbal communication) develops throughout the first year of life with the emergence of gestures, the most notable gesture being pointing. Pointing signals that a child has achieved joint attention (see below). 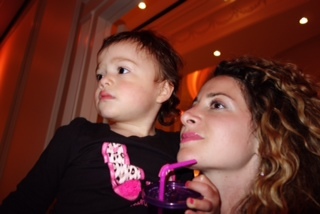 A finger pointing to an object is a child’s way of directing your attention to that object. They may be thinking, “Hey look! A big dog. You see?” or “I want that juice that’s up on the table. I need you to get it for me.” Communication becomes verbal with the emergence of first words, usually heard around the time of a baby’s first birthday. The Checklist of Communicative Functions and Means is a thorough and efficient way of assessing not only how a child communicates but why they’re communicating, that is, what is their purpose. Function refers to what we are trying to communicate. We try to communicate our wants and needs, our likes and dislikes. We communicate our emotions and we communicate to find out information and to be social. How we communicate these functions, is known as the means. How do we greet others, comment on a situation, or request objects? We can use both verbal and non-verbal means. Communicative means are characterized as preverbal/non-verbal and verbal. Now that we understand the various different means of how we communicate, let’s talk about why we communicate. Communication is used to get what we want or to make sure we don’t get what wedon’t want! We request objects and actions (cookie! more swing!) and we also reject and protest (no!). These functions demonstrate behavioral regulation. We also like to make social overtures to interact with those around us. Pragmaticdevelopment, the way we use communication, preverbal/non-verbal or verbal, is essential to becoming an effective communicator. Social Interaction consists of requesting social routines (“eat din din”), requesting comfort (“help me”), greeting (waving), calling (“hey!”), requesting permission (looking expectantly at mom), and showing off (singing a song). Finally, the function of Joint Attention is a crucial communicative function. In order to comment, request information, or provide information to others, we first need to have the desire to do this. Joint attention is defined as the process of sharing one’s experience of observing an object or event with another person. We know that the other person is sharing this experience with us because we are following each other’s gaze and/or pointing gesture towards that object or event. A person who lacks joint attention is not able to take the perspective of another person. Joint attention is critical for cognitive and intellectual development, language acquisition, and social development.